Tickled Pink Sheep is just the sweetest Etsy shop! It's full of hand knitted vintage-style scarves, hand-warmers with cute designs and lovely infinity scarves. I'm a sucker for soft, cozy clothes and accessories and the weather at the moment is certainly pretty turbulent so I was much in need of some warm gloves. Tickled Pink Sheep sell a few different designs of these hand warmers such as ones with little bows on there or tiny little hearts. Mine are navy with a light blue heart on there. I love them! They're done really neatly and feel really secure and warm on my hands. The sizing is also quite small so they fit my hands snugly which is what I am wanting. 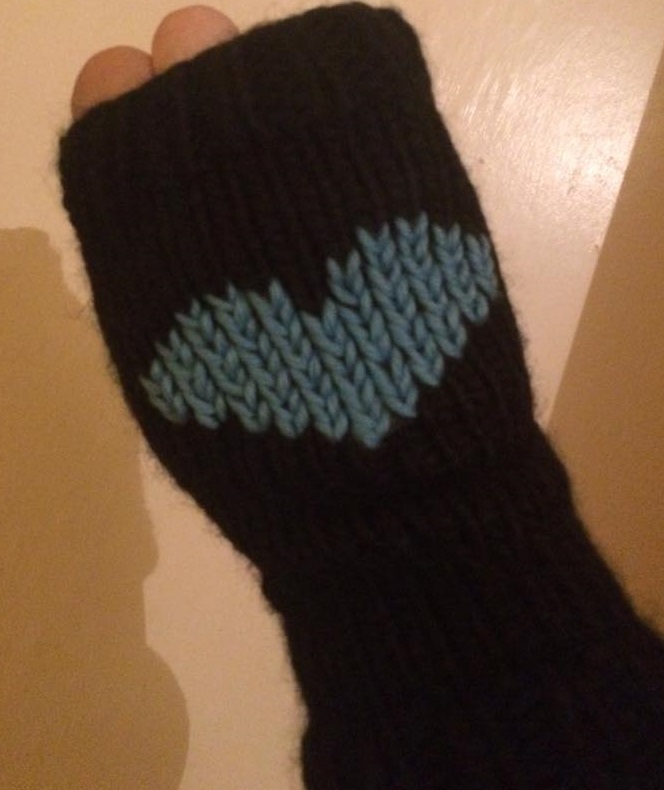 I like the fact that they're fingerless so I can access my phone and not have to remove the gloves. I know this might seem like a minor thing but it's so nice being able to change my music that's playing without having to get my hands all cold. And the packaging... don't even get me started! They were packaged in the cutest little pink chinese-takeaway style box with twine wrapped around. I've never had anything packaged in this way and it was lovely.